The Golan Heights and the area Israel came to occupy from Syria in 1967 is a rocky, elevated plateau that ranges in height from 400 to 1,700 feet. 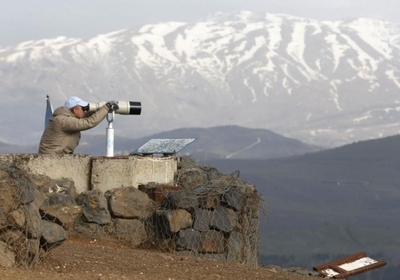 Mount Hermon in the north marks the high point, standing at 9,232 feet tall, and it contains an Israel Defense Forces strategic observation post. The Golan also overlooks the Sea of Galilee and the Hula Valley, which is Israel's richest agricultural land. Two of the main water sources for the Jordan River—the Dan and the Banias—come from the slopes of Mt. Hermon. 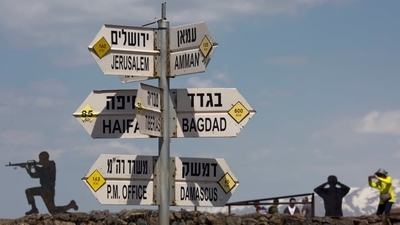 Damascus is only 40 miles away from the Israeli-held territory. Israel captured the Golan Heights from Syria during the June 1967 War—the same war where Israel took the Sinai from Egypt, and the West Bank and Gaza from Jordan and Egypt respectively. 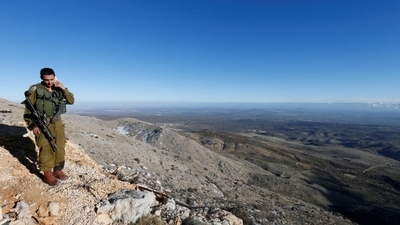 The territory that came under Israeli control represented less than 1 percent of Syrian land area, yet under Syria's control it served as a forward operating position where artillery regularly shelled northern Israel, and the Palestinian Fatah organization launched regular cross-border raids. Israel annexed the territory in 1981, but the international community didn't recognize the move. Any form of Syrian strategic realignment under Assad is extremely unlikely—at least for the foreseeable future. Russia's Middle East stock is on the ascent, and Syria is ground zero for its wider regional designs. Iran, for its part, is embarked on a Syrian entrenchment enterprise that stretches well beyond the military realm. And Hezbollah, which began its covert involvement in the Syrian war in 2012, has created a new "Golan Terror Network" under the leadership of Ali Musa Daqduq, a longtime senior Hezbollah operative and commander trained by IRGC Quds Force commander (and Israel's archenemy) Qassem Suleimani. Israel, however, already reached several agreements regarding how far Russia would keep Iranian or Iran-backed forces from Israel but has proven incapable of enforcing them. Until Iran is removed from Syria, or until a prohibitive cost is imposed on Israel, Jerusalem is likely to keep treating Syria as an extension of Iranian territory, which means one can expect Israel to continue to strike at Iranian logistical lines, weapons transfers, and at any high-ranking member of the IRGC, Quds Force, or Hezbollah who feels lucky enough to poke their head up.